Real talent sings. And when talent and exemplary design meet, the result can be something truly special. Handcrafted with love. Honed by dedication. In the pursuit of perfection, we at LyZadie Design Studio have resolved to only work with the best local craftspeople on offer. It’s clear from the moment we find them that they share our dedication to creating the most sumptuous and exclusive work possible. It’s like watching music in motion. When we watch a musician lost in playing a piece of music, we know that their sound will never be repeated in the same way. For us at LyZadie Design, this irreplaceable exclusivity is at the heart of our pursuit of perfection. When an item is handcrafted, it is truly, utterly, unique. There is a poetry in the product. Something of the soul of New Zealand retained by shaping it by hand. This is the music of working with the best. So at LyZadie Design Studio, we seek out talent, skill, and experience to create this exclusivity, and have enjoyed working and collaborating with the very best makers New Zealand has to offer. A who’s who of the talented craftspeople we collaborate with. It can sometimes take a long time to find the right hands to hold and realize a collection. Knowing a craft inside and out takes dedication and focus, understanding how to work with pure natural materials is an art in itself. Finding the team or person who can weave their skills with our designs takes commitment. We have driven up and down the length of New Zealand in this search, yet every time we find the right team, it’s as if a spark is ignited and the idea burns even brighter for having found its maker. Pouring over drawings, sketching ideas in sawdust, catching the inspiration in the air, we do whatever it takes to pass our concept into their capable hands, and the outcome has been so exciting. Tréology was created in 2011 by Andrew and Melany-Jayne Davies. With a 150 year family legacy of luxury furniture-making behind them, Andrew and Melany-Jayne wanted to combine this traditional craftsmanship with contemporary art and design. They also wanted to share their love of the New Zealand landscape through functional art with clients throughout the world. This has lead them to collaborate with LyZadie Design Studio on the Flow Collection: a range of luxury furniture that is inspired by the braided rivers of New Zealand’s South Island. With running brass and rescued river rimu, the collection holds true to Tréology’s philosophy of connecting people and celebrating the wonder of nature. And with our designs and their focus on sourcing sustainable materials and impeccable craftsmanship, every piece in Flow collection is timeless. The ReLEATHERED Armoire - blackened steel and polished brass. Their tagline of Artistry in Steel is no understatement. The team at Powersurge have a keen eye for beauty and a delicate hand with construction that belies the sharp strength of their material. Having worked with them on several architectural projects in the past, they were an obvious choice to add to the collaboration team for the ReLEATHERED Collection. Working together is both exciting and inspiring, and it is a privilege to work with such talented craftspeople. We are currently working together on a new collection which we will bring out very soon we hope. With two of the best glass artists in New Zealand at the helm, Monmouth Glass Studio was a natural choice for us when we wanted to bring the fire and light of glass into a new collection. Isaac and Stephen are working on a number of projects for us, most recently The White Cloud Collection which comprises of pendant lights and vases of various sizes. Watching them at work is like seeing the heart of the earth open up and let out its magic. 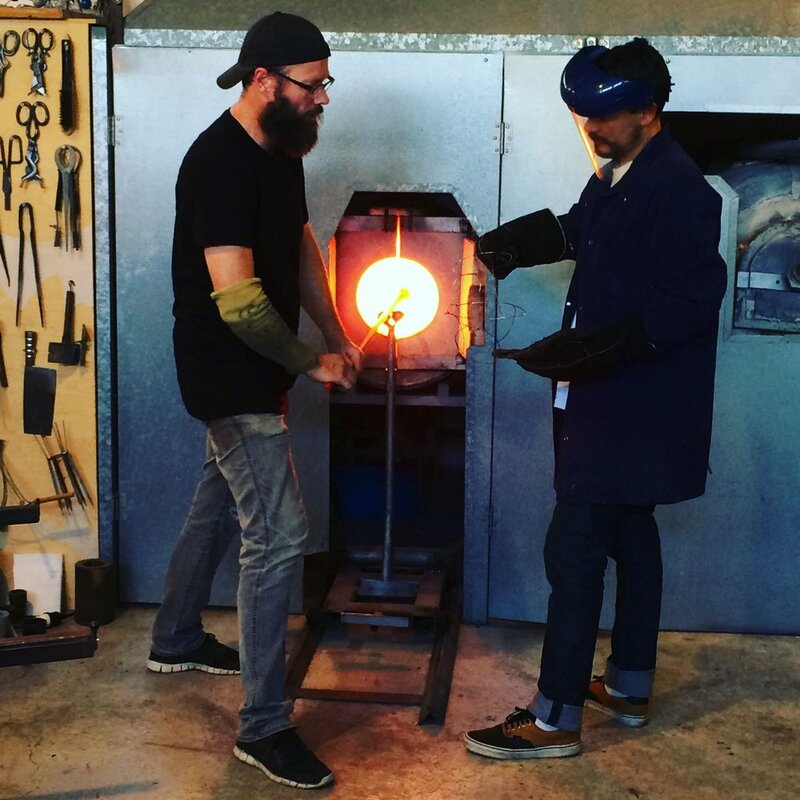 We are learning so much from the mesmerizing process of watching these two experts work - it’s like a choreography - a beautiful dance where fire, glass and hands meet to shape these timeless creations. The White Cloud Vases. Handblown glass. The ReLEATHERED Sideboard/Credenza. Used black leather belts, Rimu, blackened steel and polished brass. There are some people that just have a natural affinity with producing beautiful, timeless furniture. Sam is one of those people and everything he touches seems to bare this stamp of high quality and care. The ReLEATHERED collection is our first collection together and it is very exciting, born of a shared love of New Zealand timber and beautiful detail. Detail of the ReLEATHERED Sideboard/Credenza. There is no substitute for experience. And that experience drives the staff at Finewood Furniture to demand excellence from every part of their construction process. In the cutting and sewing division, this means Saville Row precision is demanded in even the most unforgiving of upholstery fabrics. 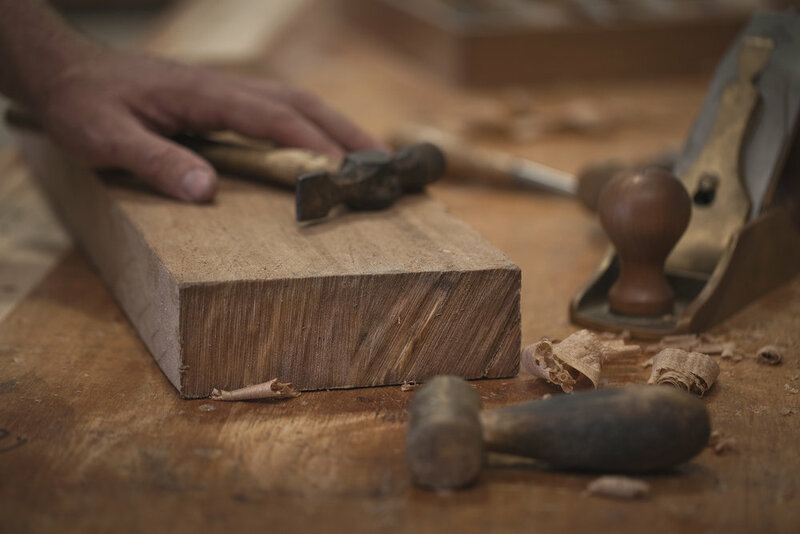 Equally, the cabinet makers focus on ensuring the framework of each and every piece of furniture is crafted well beyond what industry would consider standard. For thirty years they have crafted bespoke pieces for some of the world’s most exacting clients, and now we are excited to work with their talented team to bring to life one of our new collections which we will launch around June/July 2019. This collection is a work of pure craftsmanship and we cannot wait to share it with you. Our commitment to sustainability fits seamlessly with the ethos of the team at Multiverse Designs, our collaborators for the Fern Collection. Founded on a strong code of sustainability and using locally made resources, their use of reclaimed Kauri in this collection ensures it has the lightest of footprints on our planet. Moreover, the attention to detail in each hand-crafted piece means these beautiful designs may look delicate but will last. The Fern Mirror. Reclaimed Kauri wood. This connection is priceless. It’s pure luxury: Connecting the consumer and the maker empowers a more conscious choice by the consumer. It’s owning a product that means something. Turning ideas into reality is where the experience and dedication of our craftspeople shine forth. We may have the spark of an idea, yet rendering it into a physical form takes skill and knowledge, and sometimes a little nudge of the laws of physics! Different materials have different physical capabilities and different flaws and so the team from LyZadie Design Studio goes through a rigorous process with each maker to get their material and our design to work in harmony. Making work of the highest quality is the aim and seeing something that once only existed as a spark come it life is a pleasure that never gets dull. And then it’s finished. A piece, a collection, a collaboration. Yet the friendships we have forged through the joint process of pushing the boundaries of materials and techniques are long lasting. Together we create products that are simply sumptuous, but more than that, they hold the soul of New Zealand in their depths. Spark to finish, idea to execution, people to product. This connection is priceless. 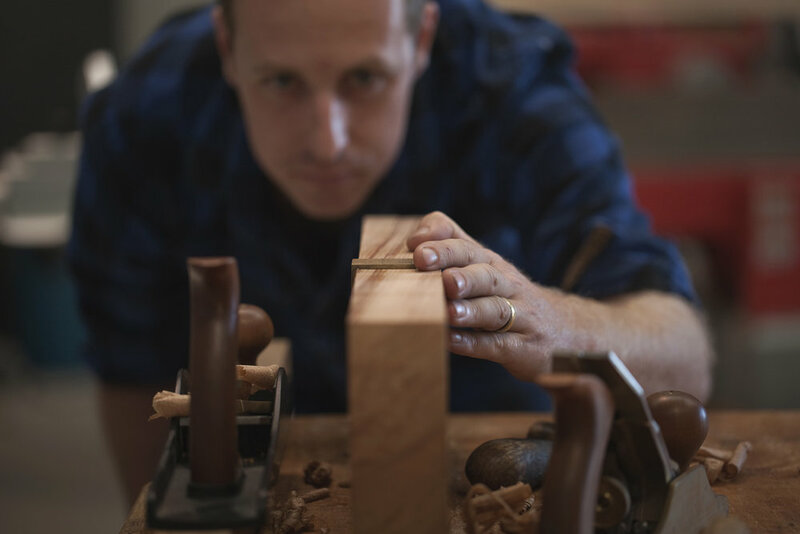 From New Zealand, to the world, our makers bring forth our visions with skill, excellence and grace. Sam James from Sam James Furniture. We are proud to support our local makers by having our creations made right here in New Zealand.